Carnegie Endowment, Sada Journal, by Benjamin Nickels, and AFP(Washington, DC, June 6, 2013) — As Mali’s crisis deepens, the implications for its neighbors darken. North Africa has not been immune to the vectors of insecurity emanating from northern Mali, where global, ethnic, governmental, and environmental crises have produced disorder outstripping any typical Tuareg rebellion or common West African coup. National, regional, and international responses in Mali have staunched the chaos but have not built durable stability, and viable long-term solutions have yet to appear. The progressive entrenchment of the crisis, meanwhile, makes Mali’s security impacts in North Africa all the more significant. The most direct and immediate costs to North Africa have been regional in nature. 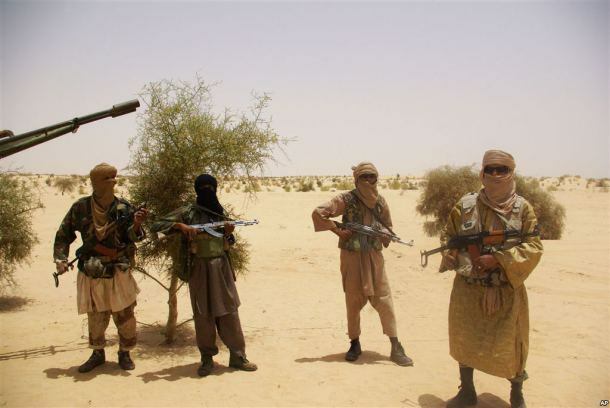 The Mali Crisis has re-invigorated terrorist activity in the Maghreb. Whether as a safe haven, training ground, source location, or final destination, Mali has increasingly been a key site linked to terrorism in North Africa, with well-publicized cases of connections to Tunisia and Morocco emerging in recent days. A second major effect is exacerbated organized crime. Mali’s instability seems to have given greater freedom to traffickers in a country already enmeshed in regional and global networks of illicit trade in drugs, weapons, goods, and people, including particularly strong ties to migrant smuggling in Libya, Algeria, and Morocco. North African nations have also suffered from population challenges generated by the Mali Crisis. Malians have fled across borders, leaving tens of thousands of refugees in neighboring nations including Algeria and Mauritania, while the vicissitudes of the Tuareg, from declarations of independence for Azawad to abuses at the hands of the Malian military, have again raised questions about the status of a community that extends north into Algeria and Libya. In addition to these cross-cutting regional repercussions, the Mali Crisis has generated insecurity within individual North African states by upsetting national strategies and heightening domestic tensions. In Algeria, for example, the crisis has thwarted an enduring approach to overseeing Sahelian security affairs. After years spent striving to avoid direct Western presence along its Southern frontier, working to supervise all instances of regional cooperation, and excluding North African competitors from involvement, Algeria finds itself with the opposite result. Due to the Mali Crisis, French planes have overflown Algeria’s territory and French troops are stationed just across the border. A major regional endeavor, the African-led International Support Mission to Mali(AFISMA), sidelined the nonintervention-bound Algeria and its various regional security initiatives. Furthermore, voices in the international community, while calling on Algeria to do more, have openly proposed that other North African nations might take charge in the region. 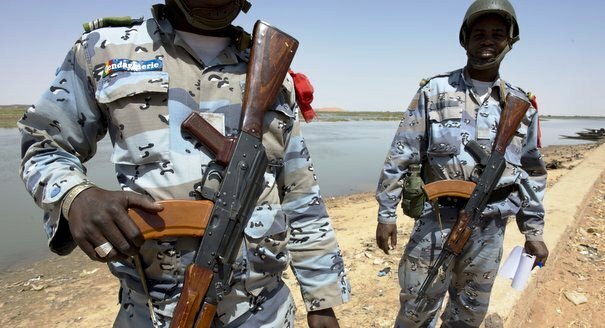 On April 17, AFP reported dozens of al-Qaeda-linked extremists were regrouping in Mali, S. Libya, and W. Sudan after the French Mali intervention. Others reportedly went to Polisario-run camps in Algeria, among the locations cited recently by Carnegie (Perilous Desert) and IUCTS (Terrorism in North Africa & the Sahel) as targets and hubs for terrorist recruiting and trafficking in the region. In Mauritania, meanwhile, the Mali Crisis touches on fundamental domestic dynamics. Mauritania’s own ethno-racial stresses and grievances have informed its cross-border affinities, and Nouakchott, although experienced in intervening in northern Mali against terrorists, refused to join troops from Bamako or the Economic Community of West African States (ECOWAS) against the Tuareg. Mauritania waited, instead, for a UN mandate to pledge troops. While the UN Security Council did recently approve the United Nations Multidimensional Integrated Stabilization Mission in Mali (MINUSMA), President Mohamed Ould Abdel Aziz may soft pedal Mauritania’s troop deployment nonetheless, because his every move on Mali is subject to intense scrutiny and vociferous criticism from the political opposition at home, much of which has denounced the extensive foreign intervention in its neighbor’s affairs. In this context, refugees present particular challenges for the government in Nouakchott. Mauritania has received the most Malian refugees, and virtually all 70,000 of them are in a single settlement in Mbera, situated along Mauritania’s Eastern border with Mali. International agencies have deplored the camp’s poor hygiene, water shortages, lack of shelter, and malnutrition, yet the surrounding Mauritanian populations are also suffering from poor living standards and the Sahel’s annual food shortages, making it politically fraught to be seen as providing advantages to foreigners. The Mali Crisis continues to force Mauritania’s president to walk a fine line between international and domestic obligations. Prospects that North African nations will soon see relief from security challenges created by the Mali Crisis are not promising. To substantially improve its own responses, the region would need major political achievements and adjustments. To impede insecurity flowing from the Sahel, North African governments would have to engage extensively in activities like information sharing, legal harmonization, and joint military and law enforcement training. Efforts in this direction have been made in the past, but genuine regional cooperation remains unlikely without an enduring resolution to the Western Sahara conflict and an easing of rivalries in the Maghreb. Moreover, strong regional responses rely on strong nations, yet Tunisia, Egypt, and Libya are all still struggling, each in its own way, to right themselves after the Arab Spring. In fact, serious doubts are emerging about Libya’s ability to salvage its own stability within the growing crisis, much less its capacity to aid in fixing problems in Mali. Yet chances of resolving the root causes of insecurity also remain slim, as the many drivers of the Mali Crisis persist. Hurried and disorderly elections next month risk producing a Malian government that enjoys legality but not legitimacy, while northern Mali and the entire Sahel are now entering the so-called lean season associated with heightened food insecurity. Copious international investments in Niger’s security capacity, meanwhile, are unsure to stem the spread of insecurity there, and threats from the Mali Crisis may combine with ongoing unrest in the Lake Chad basin or catalyze nascent violent extremist challenges in West Africa’s littoral states, like Senegal, Cote d’Ivoire, and Ghana. Given this grim outlook, North African governments will have to look South on security matters for some time to come. And in the end, difficult as it may be, freeing their gaze will probably pass through regional cooperation, which presently provides the most promising path toward enduring stability for both the Maghreb and the Sahel. Yet whether and how North African governments will eventually manage to work together on Sahelian security, for the well-being of themselves and others, remains to be seen. Benjamin P. Nickels is the academic chair of transnational threats and counterterrorism at the Africa Center for Strategic Studies. This article is informed by direct conversations since March 2013 with government officials and civil society representatives from North African and Sahelian countries conducted in Algiers, Nouakchott, Niamey, Dakar, and Washington, D.C.